Pluralizing. It sounds like something the stricter churches would condemn. But even pastors do it, sometimes regularly, sometimes irregularly. When little kids and foreigners stumble over plurals, we have no reason to laugh. Theyʼre just trying to follow the rules. Itʼs the rules (or lack thereof) that should draw the guffaws. Oh, if only it were always so easy. The thirsty football fan has three beers; the hungry hunter slays three deer (not deers). Itʼs enough to drive both hunters and sports fans to drink, or drinks, or drinkses, or … just pass the bottle. When the dental hygienist cleans more than one tooth, he cleans teeth. But if his weekend hobby is going into the Maine woods to bring dental cleanliness to large antlered animals, he first scrubs one moose mouth, and, by the time heʼs finished, has worked on, say, a dozen moose (not mooses, or meese, or meeth). Goose hunters have the same issue. One foursome of squabbling friends returned home early, their shotguns back in their cases, because they couldn’t agree on how to describe more than one goose. One said it was goose, as with moose. 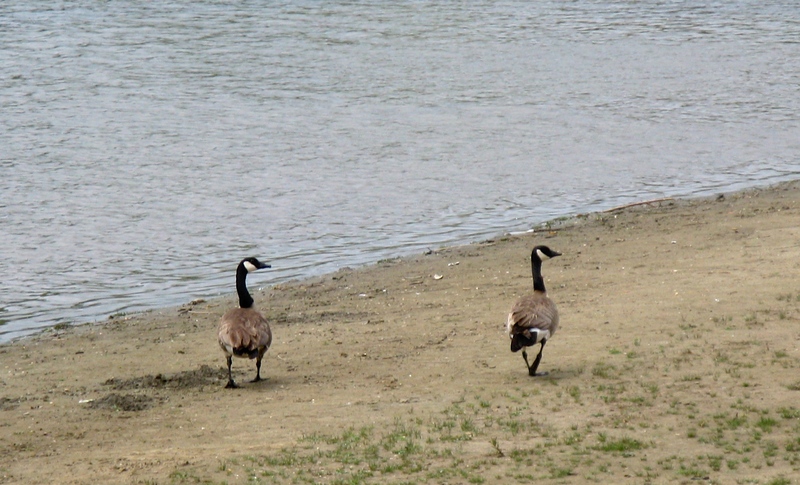 Two insisted it was geese, for whatever strange reason. One claimed it was gooses. So what are we my friend, goose or geeses? Who cares, let’s go for a swim. Thatʼs nuts. Who decided all this? If a personʼs from Germany, sheʼs German. If there are three of them, theyʼre Germans. You couldnʼt blame those foreigners one bit if they all went back to Bulgaria, or Cambodia, or Turkmenistan, where the languages make sense and they also donʼt have to try and comprehend the logic of the American Electoral College. Another issue we confront is that in some cases nouns can’t properly be pluralized. A mouse times three is three mice. But what about mud? “Elmoʼs all covered with mud,” his sister happily announces. But no matter how thickly itʼs caked on, heʼs not covered with muds. How subtle is the human mind that as we speak we instantly perceive which nouns cannot reasonably be given plurals. The househusband can have two irons with which to smooth the fabric of his wifeʼs blouse, but, moreʼs the pity, when she trudges off to the evening shift at the smelting plant itʼs all only “iron,” no matter how many tons of the stuff awaits the workers. And then there are words that can’t be singularized. He has two scissors, and if he gives one away, he still has scissors. Same with trousers. But if a man gets it wrong when putting on his pants in the morning and winds up wearing only one trouser, it would indeed be a spectacle for one wearing spectacles. Itʼs all quite confusing, but try not to fret overmuch about it. You donʼt want to develop a neurosis. Or neuroses. But wait…why isnʼt it neurosi? Or neurosises? Or neuroseeth? What would Freud say? Or a linguist? Help, itʼs a crisis; itʼs crises. Tags: plural, plurals of words. Bookmark the permalink.